The Revival of Detroit is our effort to bring hope to the hopeless in Detroit, Michigan. Highest infant mortality rate in America. 3.5 times higher than Mexico. In a recent survey, half of the city’s homeless population are at risk of imminent death. Through the K-LOVE Hope Center, lives will be touched when needs are met and beneficiaries find the love of Jesus. We believe the Church should be in the fabric of every community. Education is the key to reaching one’s potential. Without it, restoration and flourishing are not possible. Food, water and basic medical needs are the components of good health and wholeness. It is our desire to help people and communities be restored to what they were destined to be. 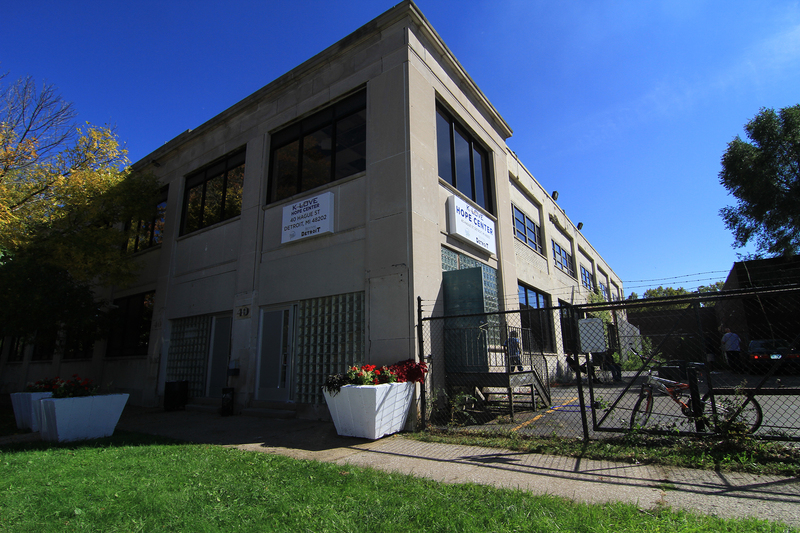 We believe the K-LOVE Hope Center will be a beacon of light in Detroit, Michigan by cultivating a place of culture, education, health, and restoration. We believe YOU are the difference in bringing hope to the hopeless. You can help make a difference by praying, giving or going. We understand we can't do this alone. Would you pray with us that we can impact our world in a life changing way. Giving to World Hope accelerates hope where it is desperately needed, and it could be the difference of a child having hope. Join us on a missions trip and bring Hope with a smile, a helping hand, and invest in people that need Hope.